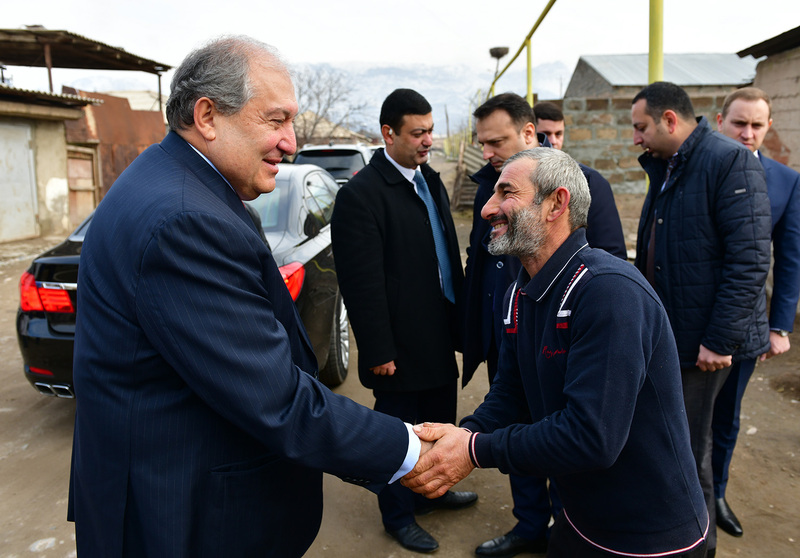 President Armen Sarkissian conducted a working visit to Ararat marz. 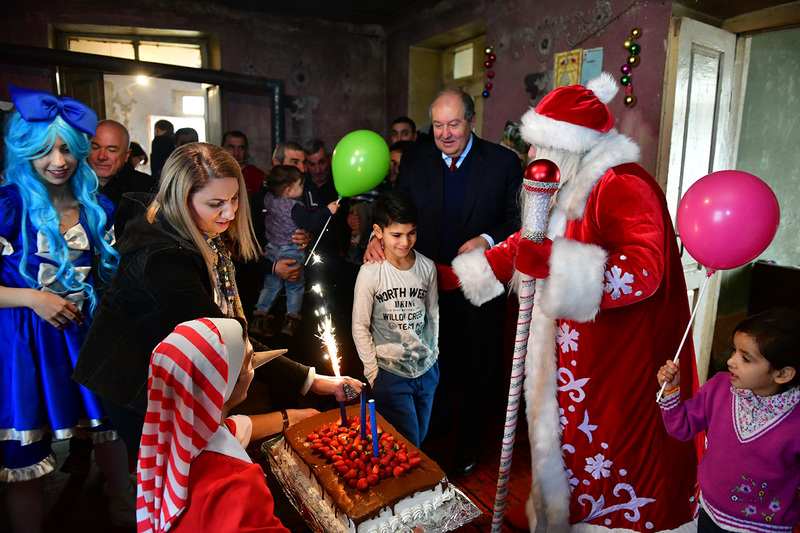 The President started his visit from the Nor Kharberd orphanage where festive events were organized for the kids. 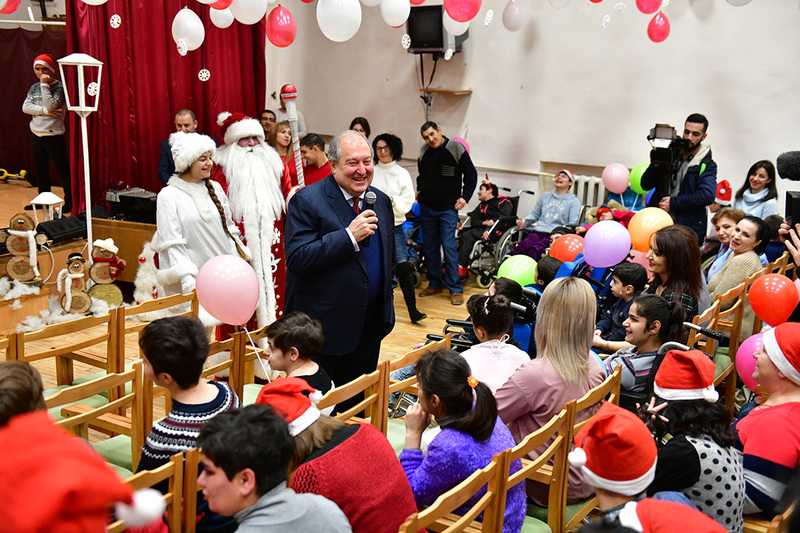 The President conversed with the children, congratulated them on the approaching holidays and noted that he was glad to spend the eve of New Year with them. 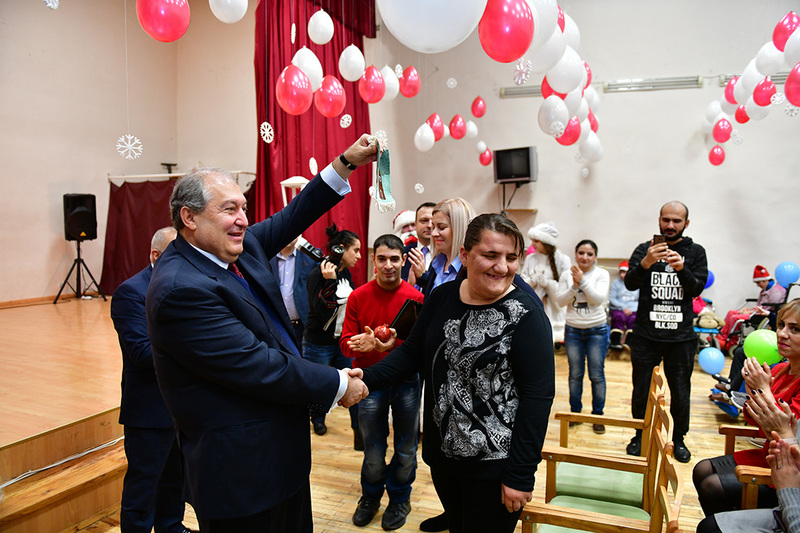 “I am very glad to be here today, with you. 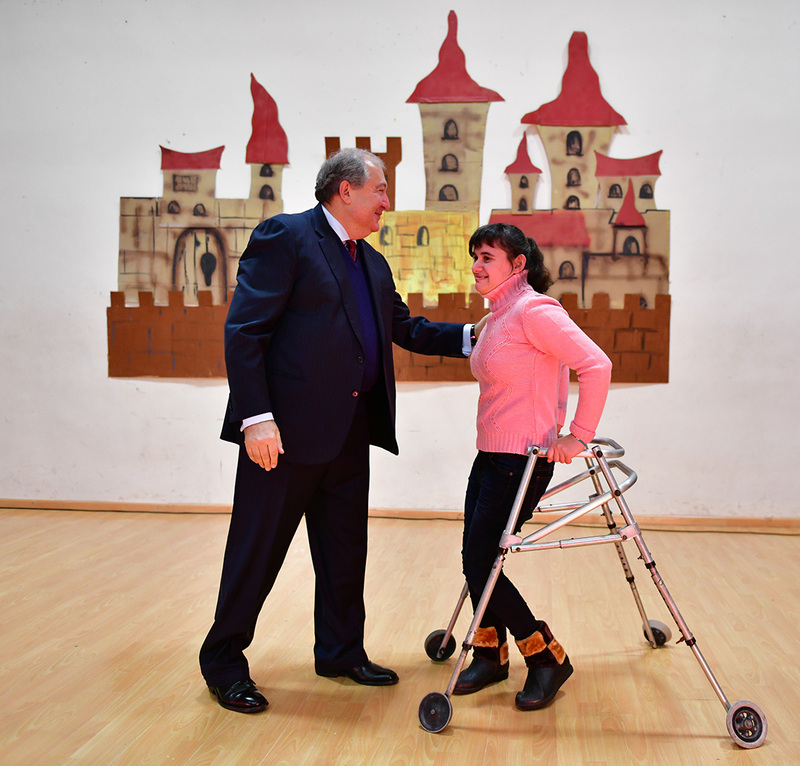 I wish your greatest concern to be to improve yourselves. 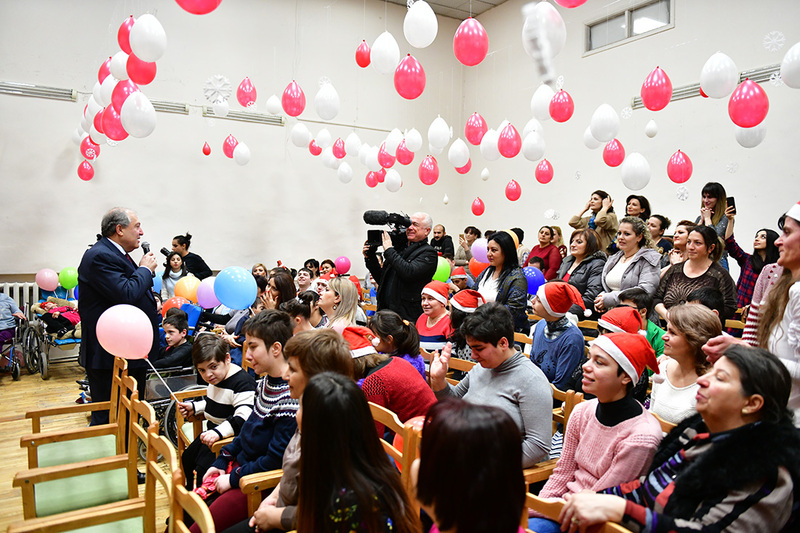 Each day learn something new – a new song, a new verse. 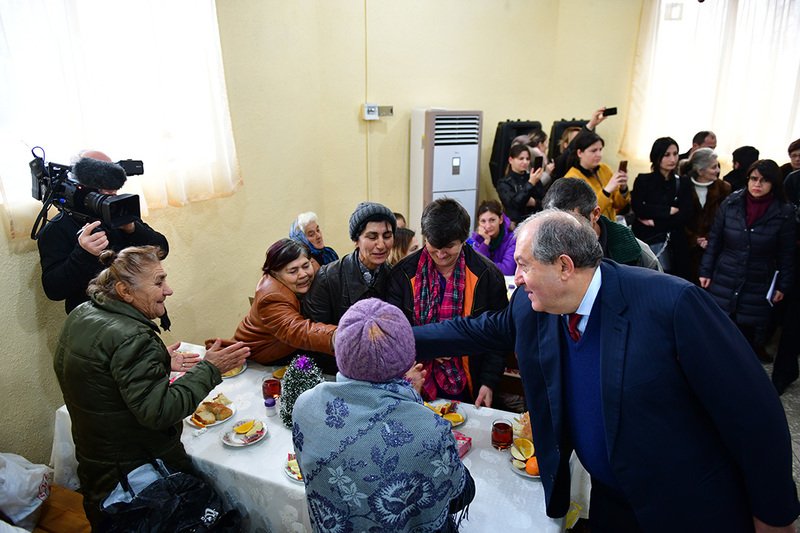 And help each other, because you are one large family. 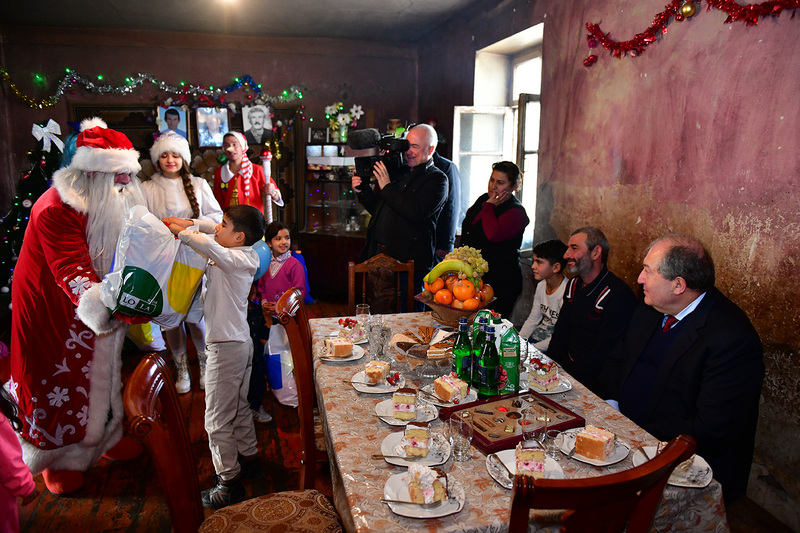 We all are a large family. 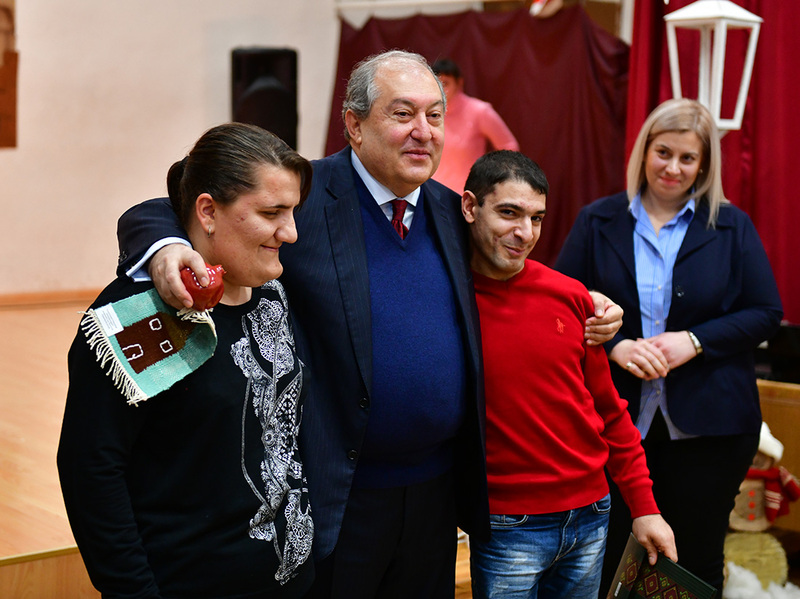 President too is part of your family because that large family is called Armenia. 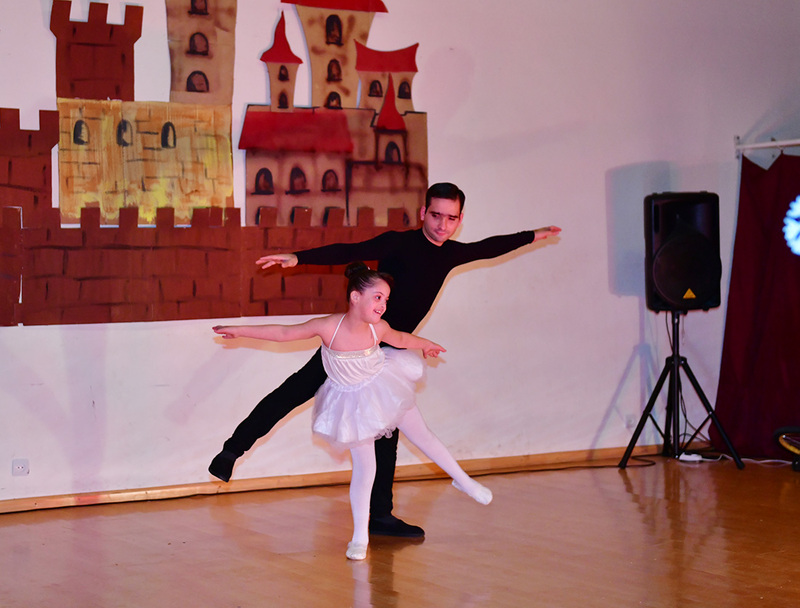 I want you to know that I think a lot about you. 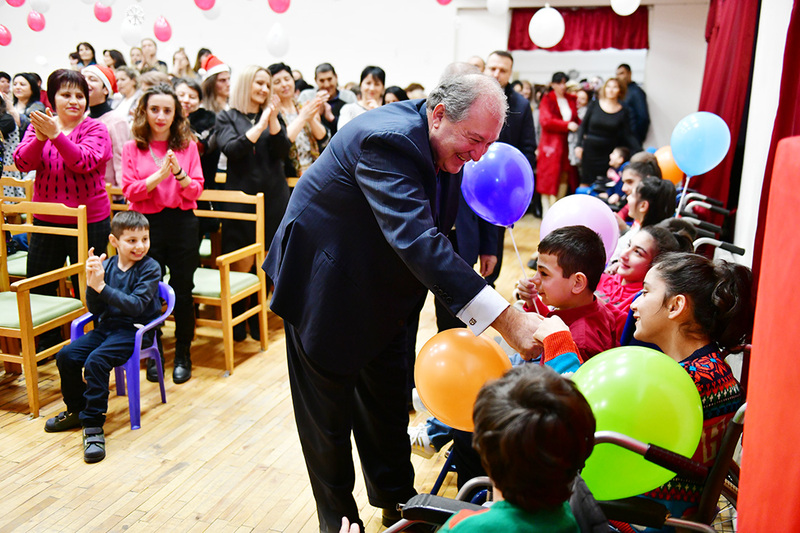 You have to be healthy, happy, smart, and joyful. 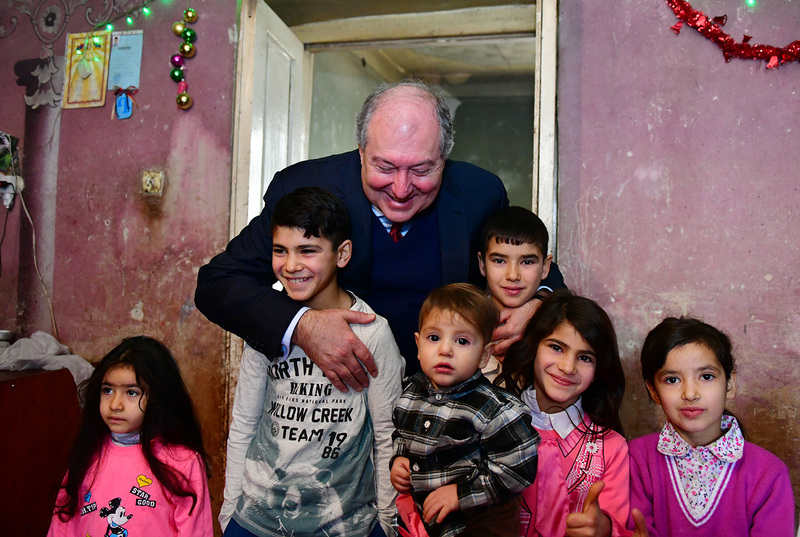 We need each of you in our Fatherland. 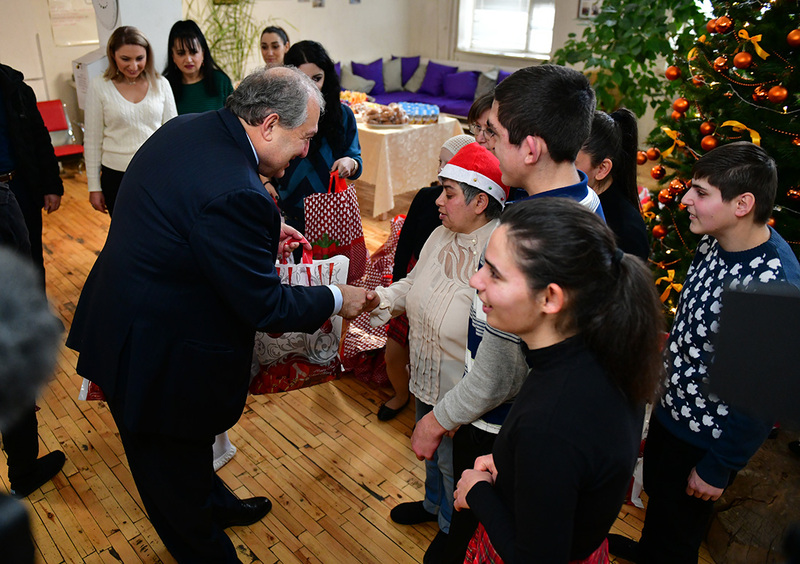 Each one of you, if you try to improve, can bring your own contribution and help our country,” President Sarkissian said. 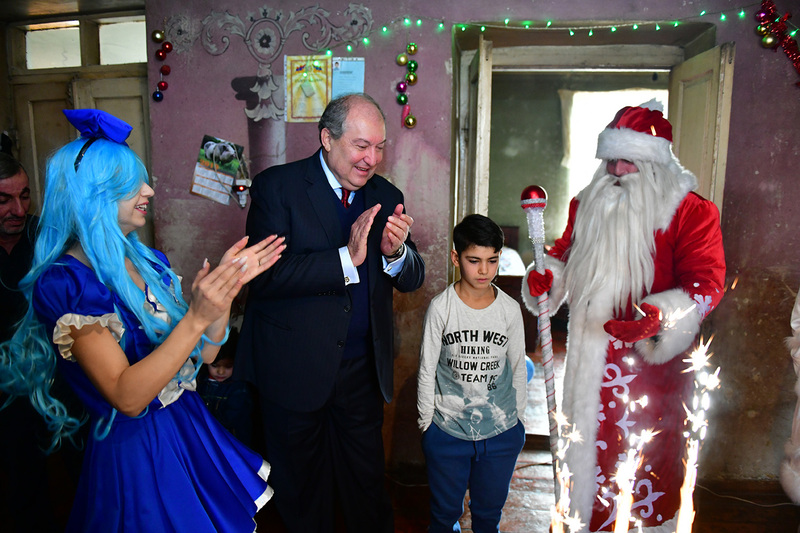 Then, he watched the festive concert by the kids, and together with Santa personally handed gifts to the children. 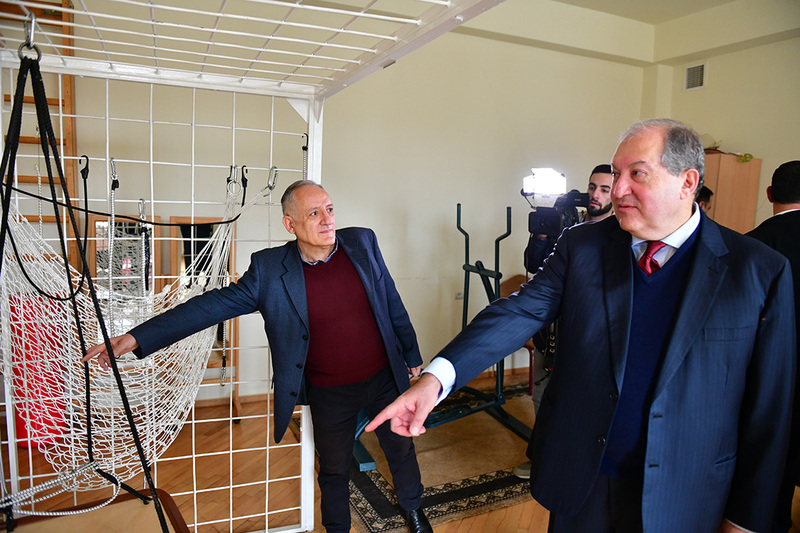 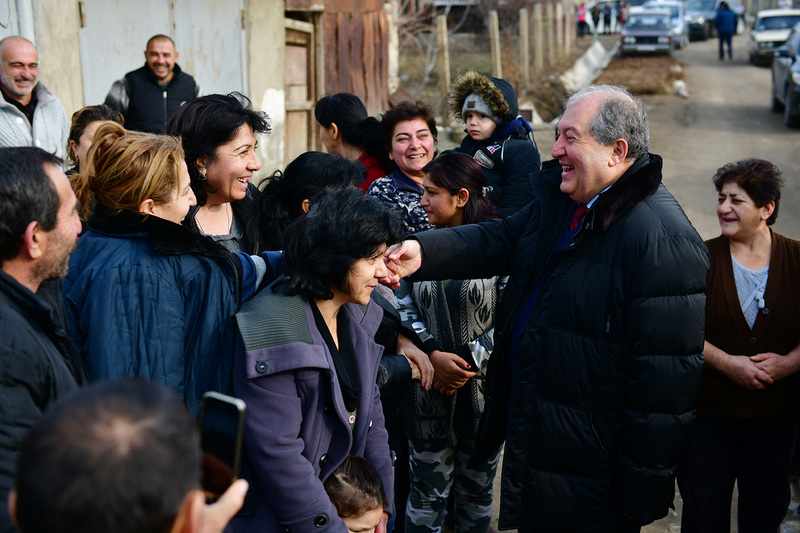 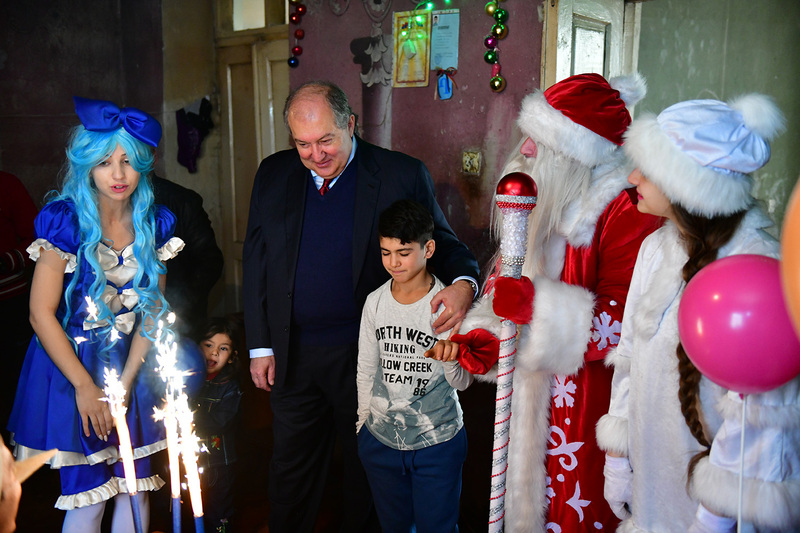 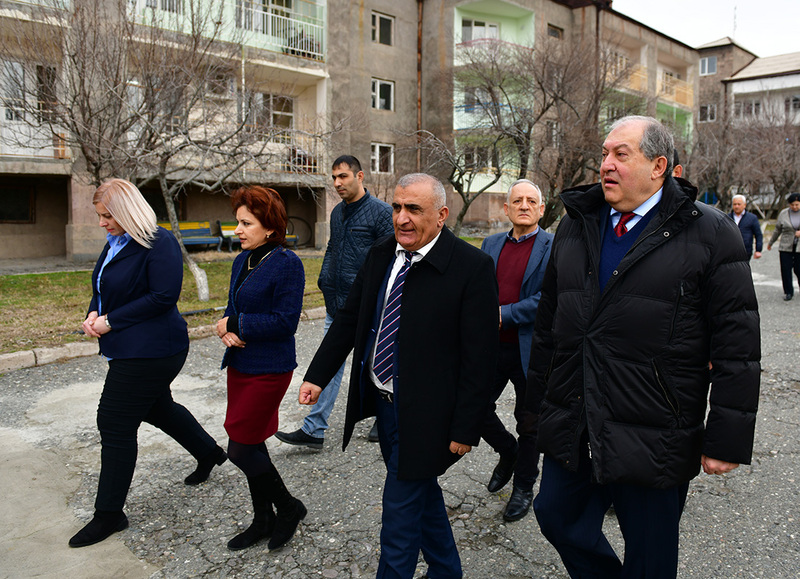 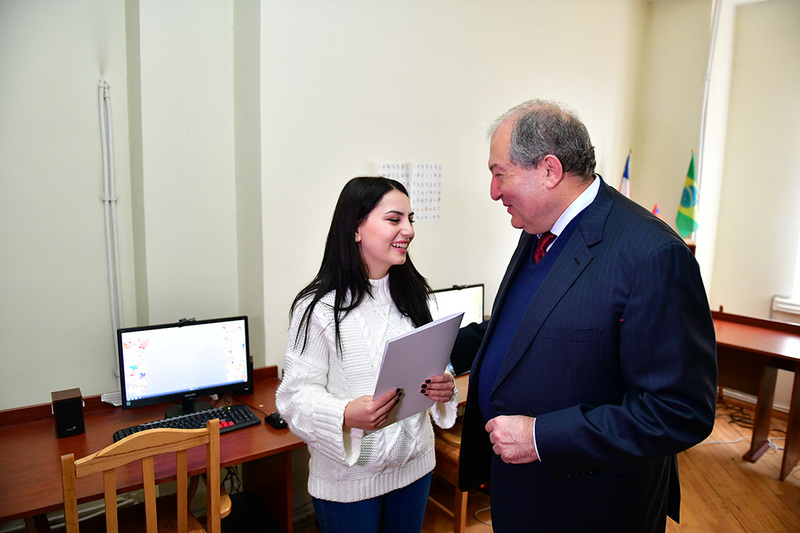 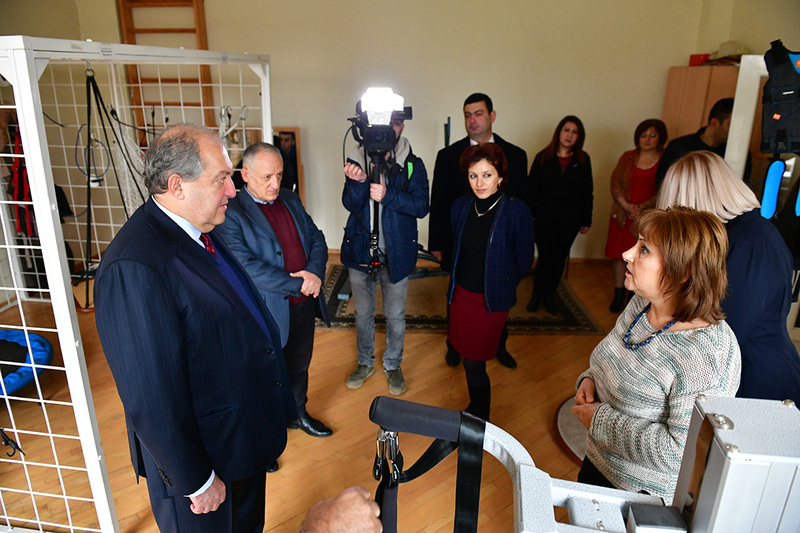 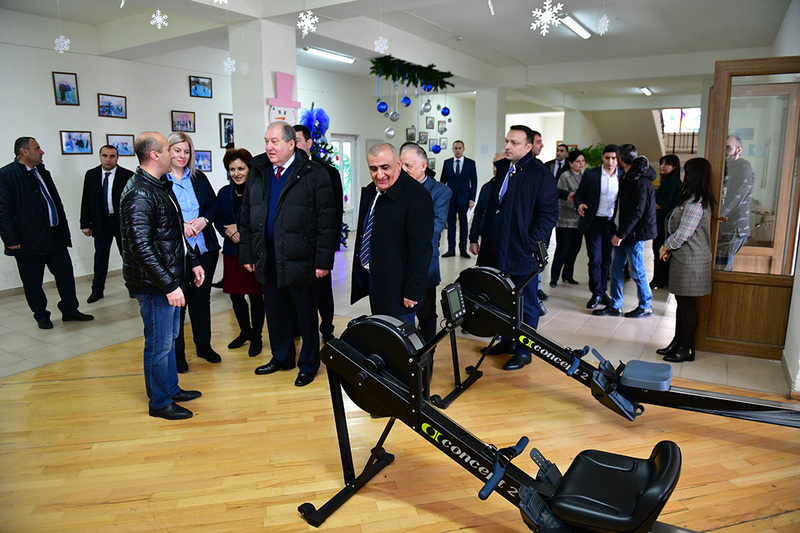 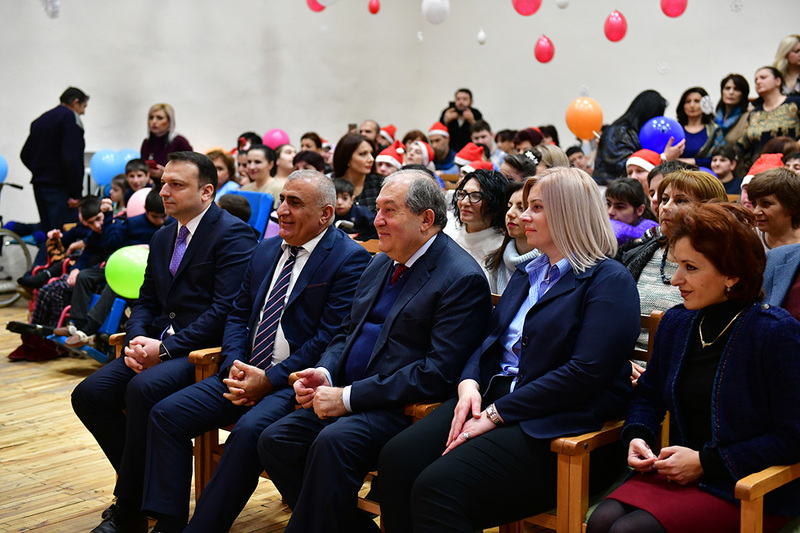 Accompanied by the Director of the orphanage Harutyun Balassanian, President Sarkissian walked through the premise, visited the rehabilitation center, gym, computer lab, conversed with the staff, and inquired about the educational programs for the children. 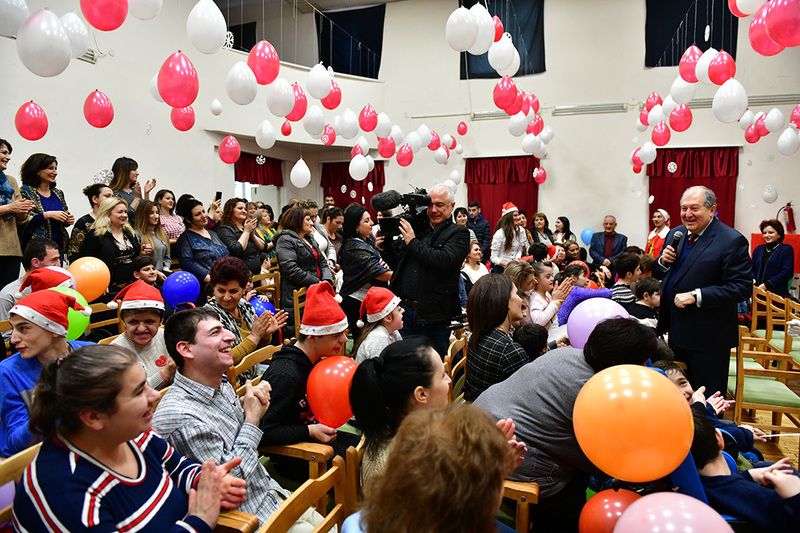 The computer lab received a new computer donated to the orphanage by the President. 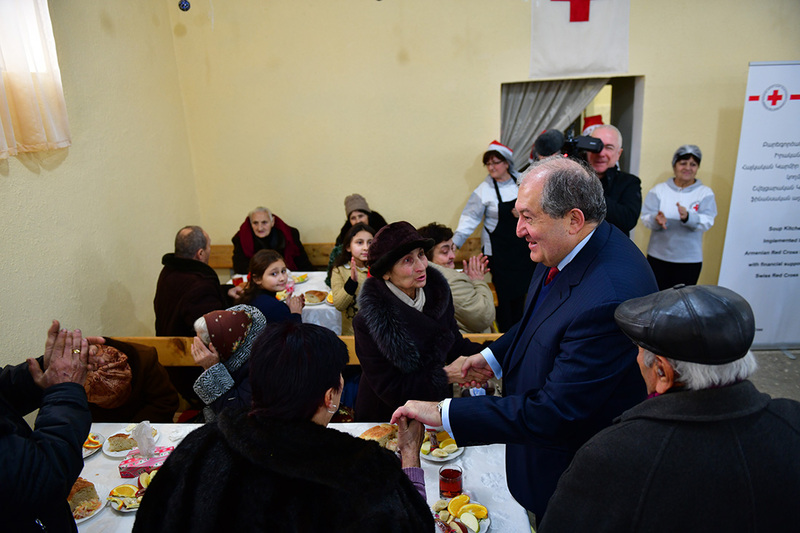 Afterwards, President Sarkissian visited a soup kitchen of the Armenian Red Cross in Masis town. 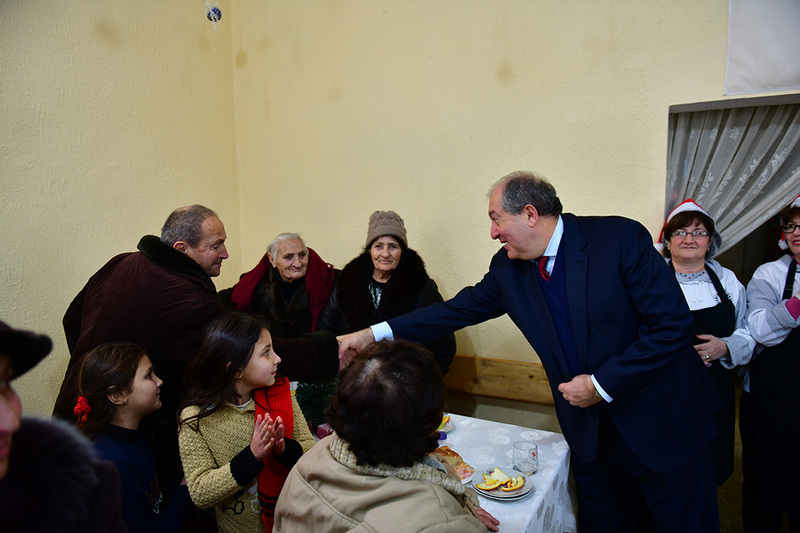 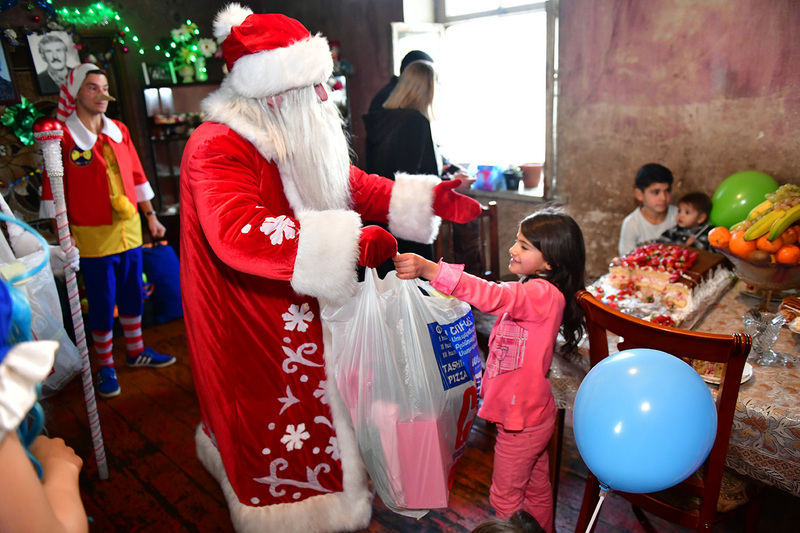 By the initiative of the Armenian Red Cross and assistance of the Swiss Red Cross, this soup kitchen was opened in 2017 and is constantly serving lonely elderly people and needy families. 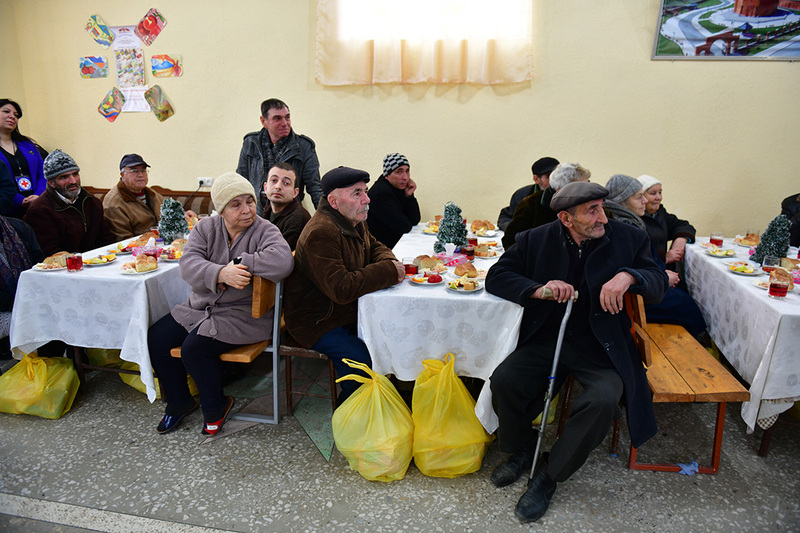 The soup kitchen is also supported by the local and regional governance bodies, as well as a number of organizations and individual sponsors. 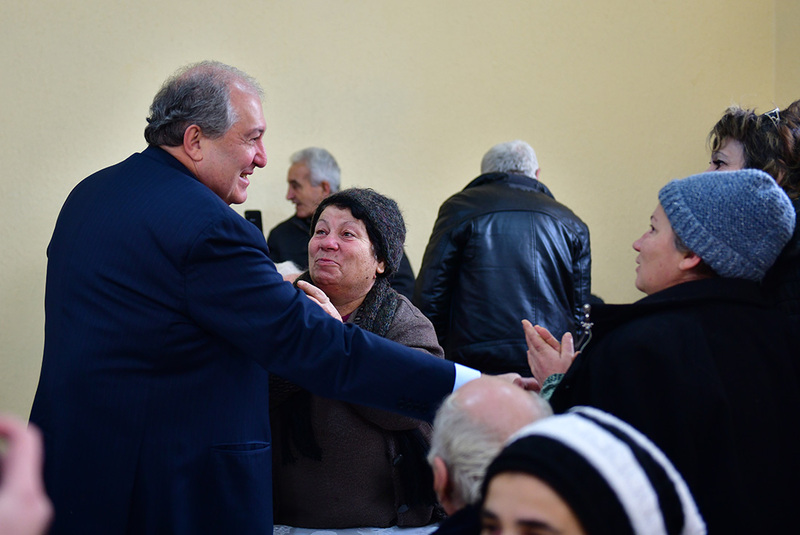 President Sarkissian met with the visitors of the soup kitchen, conversed with them, and congratulated on the approaching holidays. 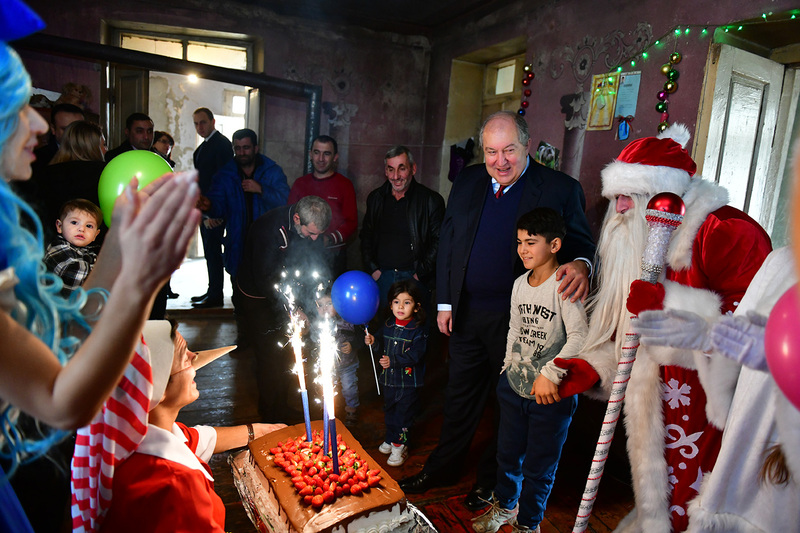 “New Year is a holiday for all, for those who are successful and prosperous, as well as for those who at the moment are going through certain difficulties. 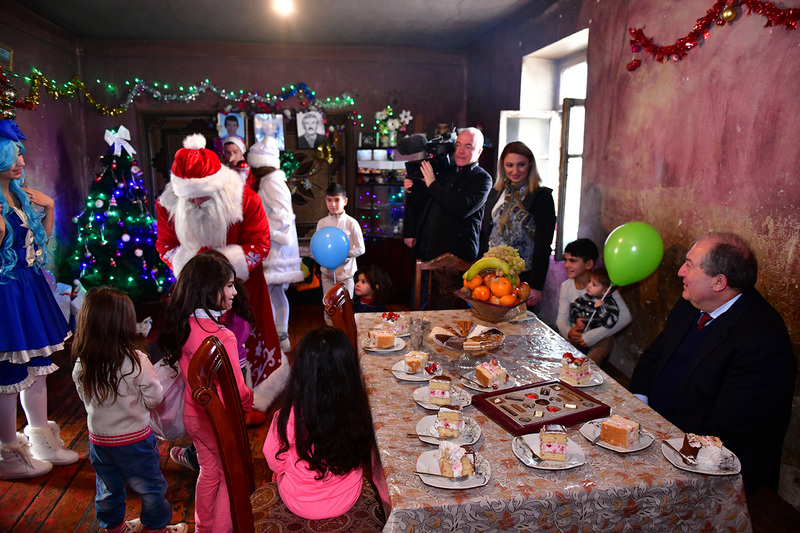 I have come to share your bread with you and tell you that neither you nor children here are forgotten. 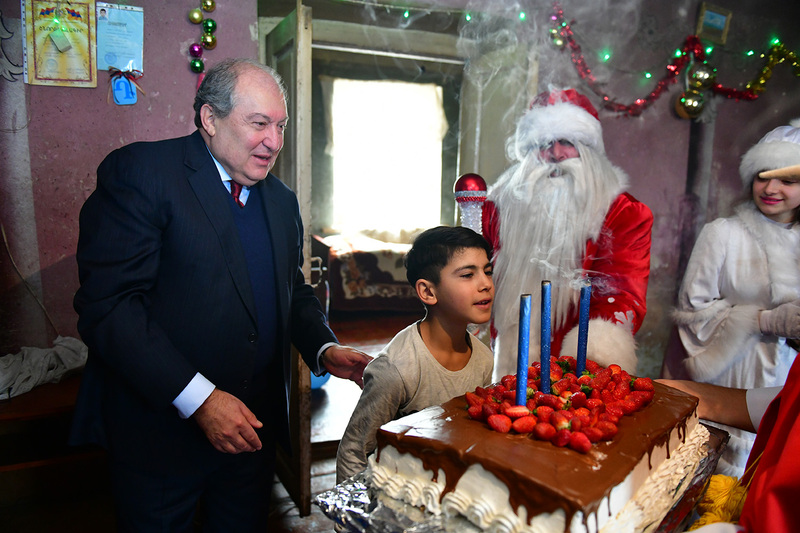 I would like to congratulate you all on the approaching holidays. 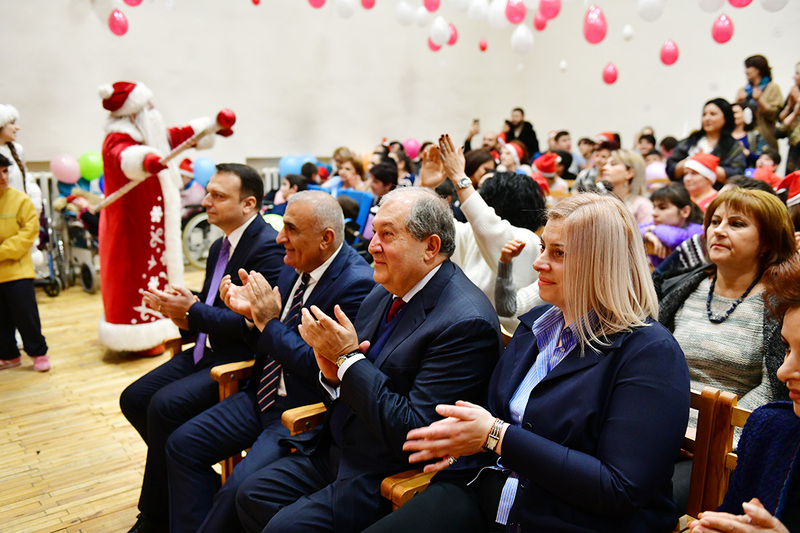 To congratulate, hope and believe that our country will become even better, that all children will have a bright future; to achieve that we all have to work shoulder to shoulder. 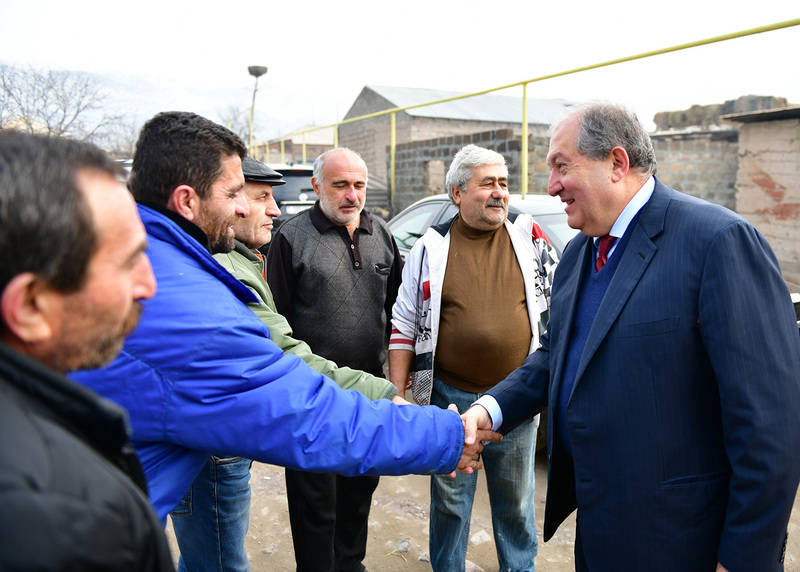 Never abandon your hopes. 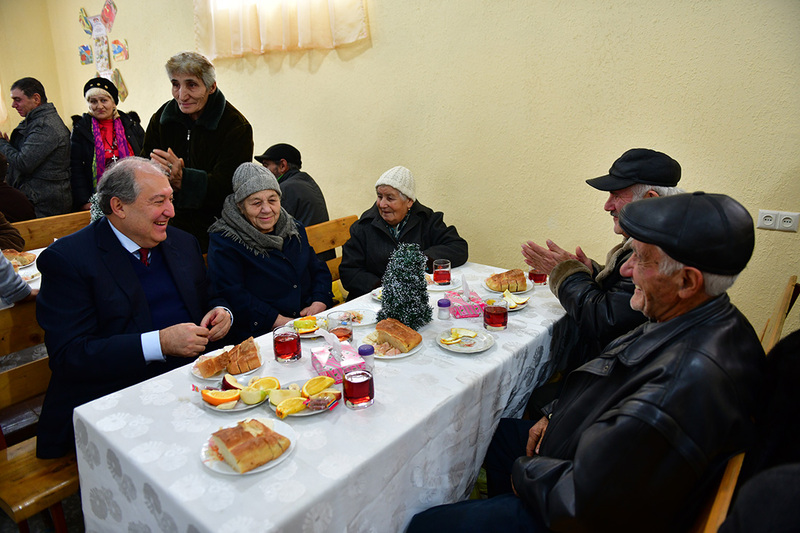 I have come to say that after hard days, life still goes on. 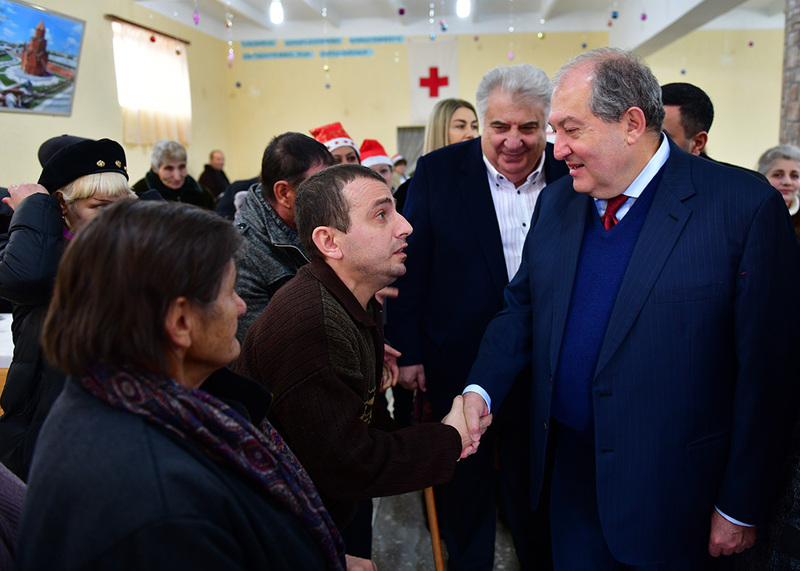 Believe that 2019 will be a better one, year 2020 even better,” President Sarkissian said. 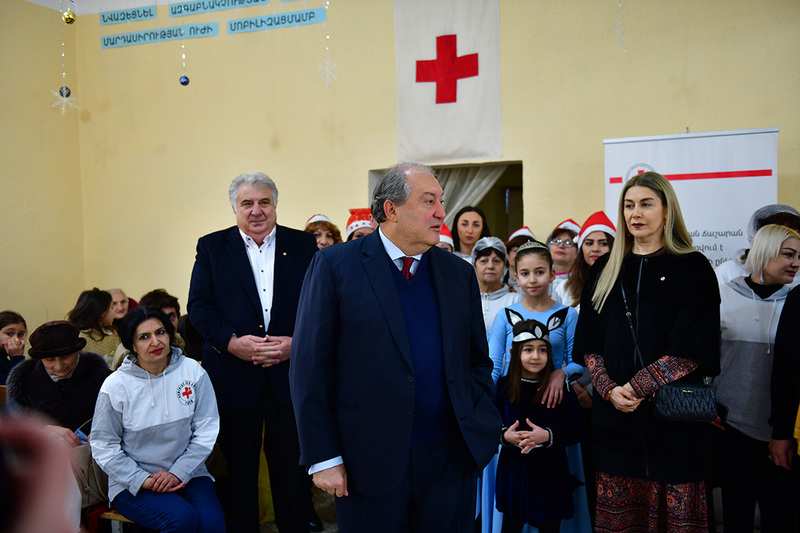 He thanked the Armenian Red Cross and its Chairman Mkhitar Mnatsakanian for the charity work and promised to support the children of needy families. 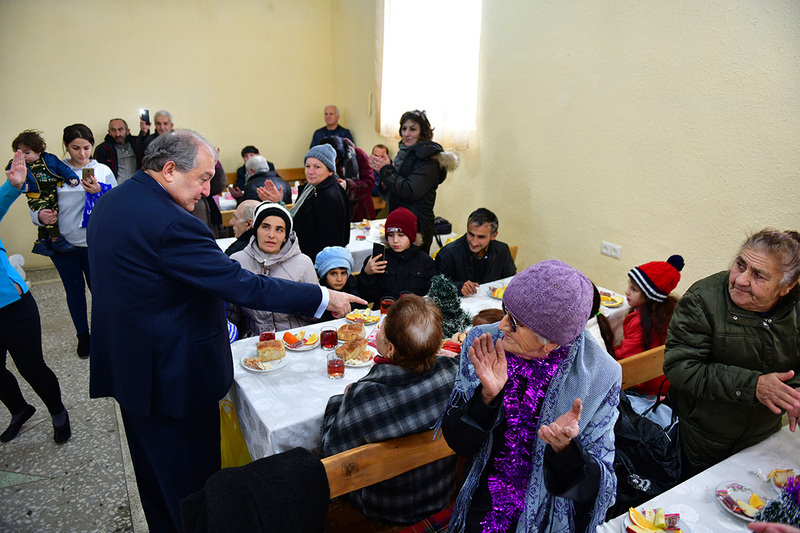 The beneficiaries of the soup kitchen received also gifts handed on behalf of the President. 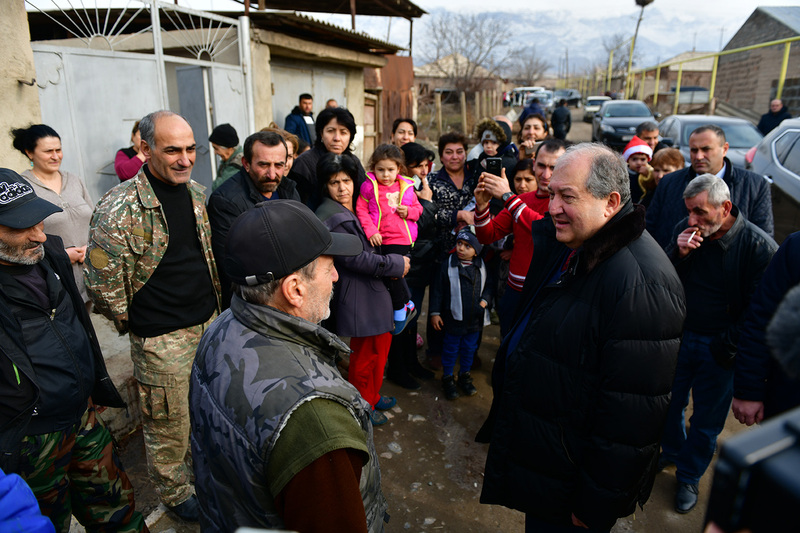 The next stop of the President was Surenavan community. 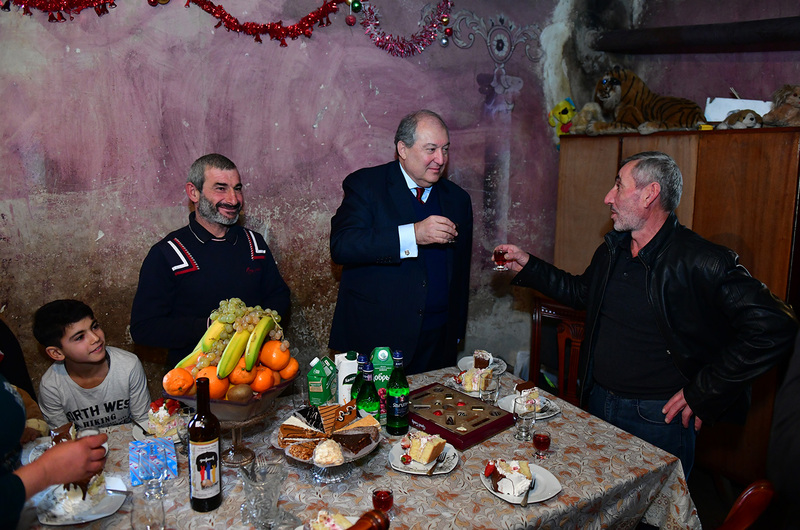 Here, he visited the large family of Hovsepians. 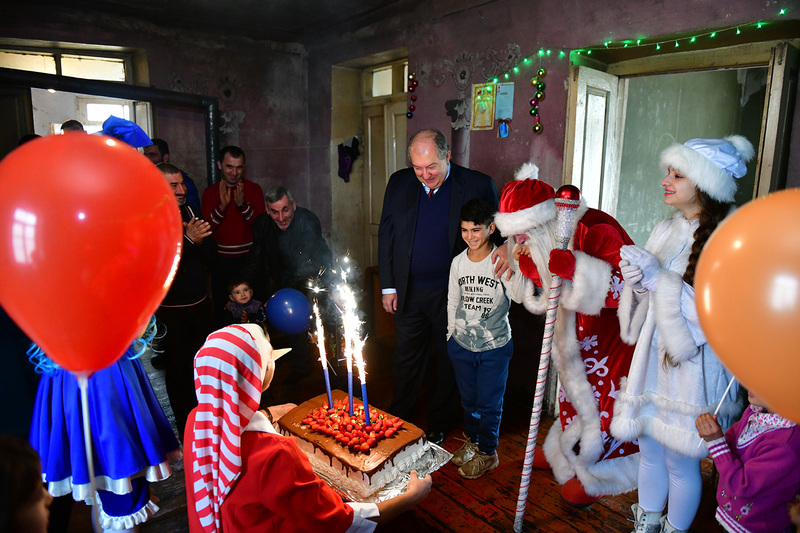 There are 8 underage kids in the family, the eldest of them is 12, the youngest is just twelve months old. 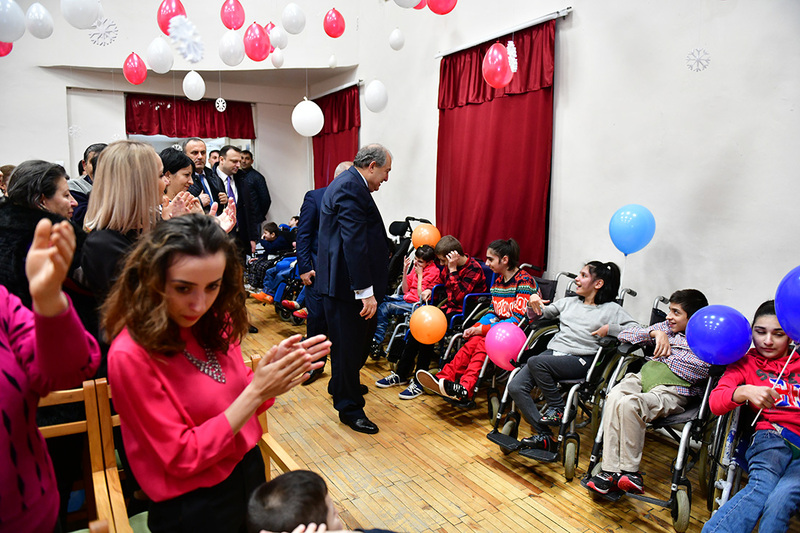 The President was present at the birthday party of the Hovsepians’ oldest son, the 12-year old Misha, and congratulated the family on the approaching holidays. 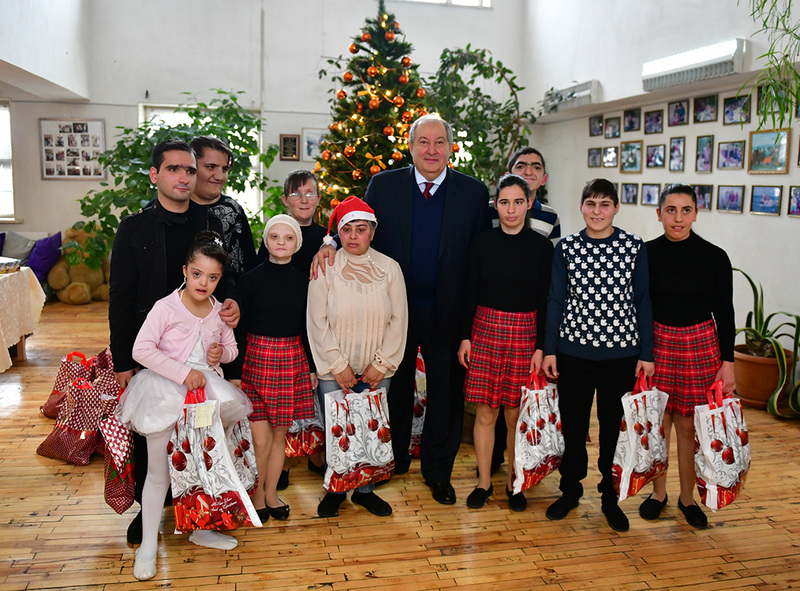 Not only Misha, but all children of the family received presents from the President. 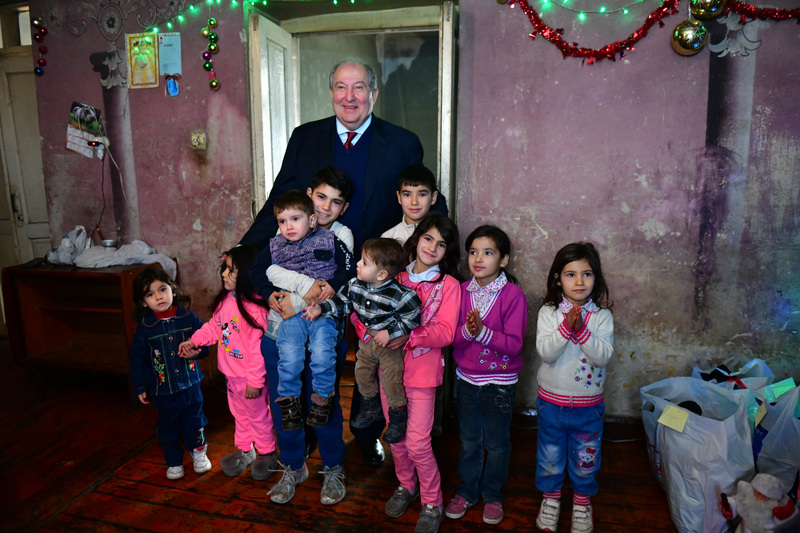 The family also received kitchen appliances.